(CNN) More than 80% of doctors who filed Medicare claims in 2016 for H.P. 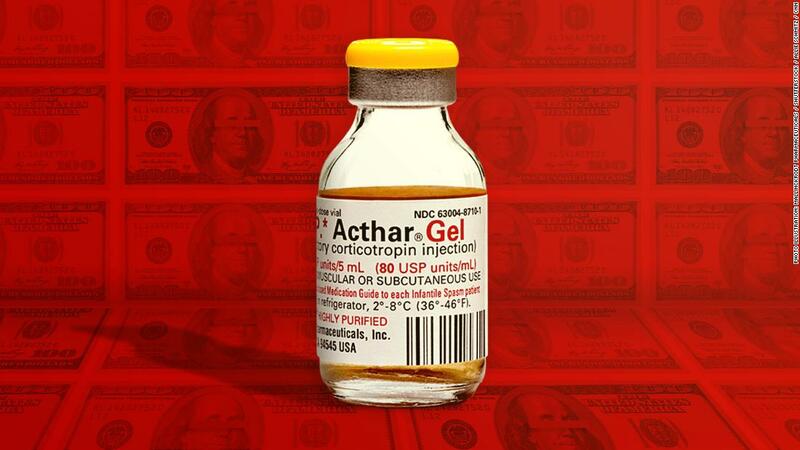 Acthar Gel — a drug best known for treating a rare infant seizure disorder — received money or other perks from the drugmakers, according to a CNN analysis of publicly identified prescribers. At about the same time, Medicare spending on Acthar rose dramatically — more than tenfold over six years. Medicare spent nearly $2 billion on Acthar from 2011-2016, according to the agency’s data — even though some doctors say an equally effective treatment would have cost a tiny fraction of that amount. Medicare spending on Acthar from 2013-2016 accounted for nearly $1.8 billion. Much of the rise in Medicare spending coincided with a marketing push by Mallinckrodt to target adults, especially seniors, after it purchased Acthar’s previous manufacturer, Questcor, in 2014, according to company documents CNN has reviewed. 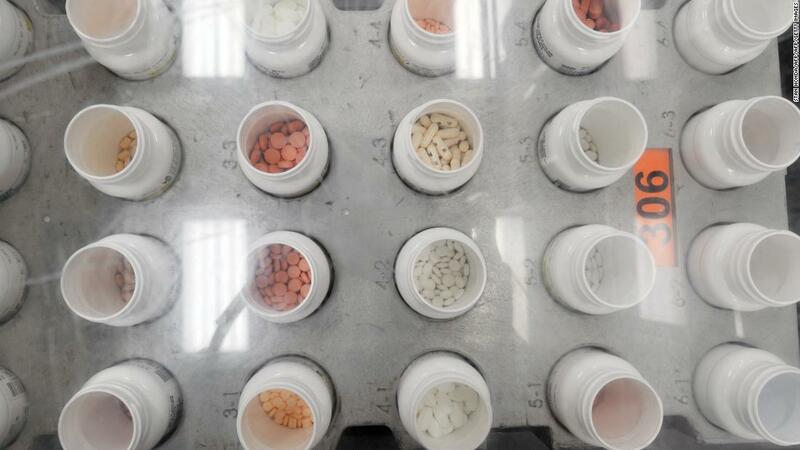 “We clearly found that as you ratchet up the payments to doctors, there were more prescriptions generated and more spending in the Medicare program on this drug,” said Daniel Hartung, the study’s lead author. Acthar is best known for treating babies with infantile spasms, a rare and catastrophic form of epilepsy.Hartung, an associate professor at Oregon State’s College of Pharmacy, said he found it troubling the drug is being marketed in adult medicine, with taxpayers footing the bill for hundreds of millions of dollars. “The evidence that this drug is any better than synthetic steroids is either weak or does not exist,” Hartung told CNN. “The issue is that it is incredibly more expensive than synthetic corticosteroids and for some reason — maybe financial gain — a small number of doctors will prescribe it,” Bourdette, chair of neurology at Oregon Health & Science University, told CNN. However, some doctors who prescribed Acthar in adult medicine and received money from Mallinckrodt told CNN they used Acthar only after steroids and other treatments failed. While Acthar is not a steroid, it replicates some of its anti-inflammatory benefits. A steroid like prednisone can cost as little as $2.50 for a bottle of pills — less than a venti coffee from Starbucks — compared to Acthar at nearly $39,000 a vial of injectable liquid. Over a course of treatment, those figures get even more dramatic: $7.50 for three bottles of prednisone vs. $117,000 for three vials of Acthar. “The continued growth in [Acthar] use is peculiar given its very high cost, widespread negative media coverage, and notable lack of evidence supporting its use over lower-cost corticosteroids,” the authors wrote. The findings in Friday’s study, which focused on 2015 Medicare claims and 2015 payment data, appeared to back up much of CNN’s data analysis, which looked at Medicare claims for 2016 — the latest year for which data is available — and payments dating back to 2013, the first year for which those numbers are available. The drugmakers have paid at least 18,810 doctors nearly $27.5 million in Acthar-related payments from 2013 to 2016, CNN’s analysis of government data shows. Mallinckrodt said the “vast majority” of the remaining doctors were “engaged for peer-to-peer speaking engagements” and that a small fraction of them were involved in other consulting services, such as speaking to employees or investors and participating in expert Physician Advisory Boards. The drugmaker stressed that Acthar is FDA approved for 19 indications including multiple sclerosis, rheumatoid arthritis and kidney disease and “is largely used as a later line treatment, prescribed by skilled healthcare providers to a small subset of appropriate patients who need an alternative treatment option.” The drug is also the “gold standard” in treatment for infantile spasms, Mallinckrodt said. “H.P. Acthar Gel makes a significant difference in the lives of very sick patients with unmet medical needs. We are proud of the drug and the important investment we are making in it,” the drugmaker said. Since Mallinckrodt purchased the drug from Questcor in 2014, the price of Acthar has gone from $32,000 a vial to nearly $39,000. In 2000, before Questcor purchased it, it was $40. Questcor shocked the medical community when, on August 27, 2007, it raised the price overnight from $1,600 to $23,000 a vial. Mallinckrodt purchased Acthar as part of a $5.6 billion deal for Questcor in 2014. At the time, Mallinckrodt President and CEO Mark Trudeau called the drug key to the future of the pharmaceutical company. Shortly after the purchase closed in August that year, executives unveiled their strategy: go after the 4 million Americans the company said suffered from “Acthar indicated conditions” — many of them elderly. “The one thing that you can be sure of is that the awareness and the evidence of the product will just expand dramatically over the next year,” Phillips said in a briefing with investors in October 2014. Phillips showed PowerPoint slides detailing the company’s strategy, including the need to get Acthar to its “underserved patient population” in rheumatology, pulmonology, ophthalmology, dermatology and kidney disease. He pledged to “expand significantly” Acthar’s sales force in the fields of rheumatology and pulmonology over the next year. Indeed, the message was clear: There were more patients to treat and more money to be made. The Mallinckrodt PowerPoint presentation seemed in stark contrast from years before, when Steve Cartt, then the executive vice president of Questor, wrote an email to an infantile spasms advocate about how the company failed in expanding treatment. “Based on this experience, it became clear to us that in the treatment of infantile spasms is where the medical community has determined that Acthar provides its true value to patients,” Cartt wrote in August 2007 in an email shared with CNN. The aggressive marketing push outlined by Mallinckrodt executives in that October 2014 investor meeting appears to have paid off: Medicare spent more than $600 million on more than 12,000 Acthar claims in 2016 — more than double the numbers from 2013, the year before Mallinckrodt’s purchase. Many of those prescriptions were made by rheumatologists, nephrologists, and neurologists — the very type of doctors Mallinckrodt executives said they planned to target. All told since 2011, Medicare has spent more than $1.98 billion on some 45,000 Acthar claims. Is it even effective for treating elderly patients? Multiple doctors familiar with Acthar told CNN that the drug shows little benefit in adults over steroid treatments, which they said could range anywhere from $2.50 for prednisone to $5,000 for a high IV dose of methylprednisolone. Even at the high end, these doctors said, prescribing steroids over Acthar could have saved Medicare nearly $1.8 billion. “Medicare having to spend almost $2 billion on a drug that is of questionable benefit is very disturbing,” said Rita Redberg, a cardiologist and professor at the University of California, San Francisco, School of Medicine. “The lack of high-quality evidence supporting Acthar gel’s benefit in a variety of conditions, along with the unconscionable price increase by the manufacturer, should give pause to all practitioners,” wrote Redberg and her co-author, Dr. Saate Shakil, a UCSF resident. The drug was first approved in 1952 to treat dozens of conditions, from arthritis and gout to lupus and kidney disease. The field of corticosteroids drastically improved in the decades that followed, almost making Acthar obsolete in adult medicine until recently. The FDA approval in 1952, Redberg said, essentially grandfathered the drug in for an array of adult conditions that most likely would not stand up to today’s more rigorous drug trial standards. “We looked for studies of this drug, and they’re really not there,” she said. In response to such criticism, Mallinckrodt said “there is significant clinical evidence to support the effectiveness” of Acthar. “Equally important, there are decades of clinical experience that doctors have with the product as a proven therapy for appropriate patients,” Mallinckrodt said. Mallinckrodt said the nearly $400 million doesn’t include marketing or payments to doctors. What about the cheaper alternative? Why would Medicare pay nearly $2 billion over five years when there was a far cheaper alternative? Stephen Schondelmeyer says you can thank lawmakers for that: Medicare is not allowed to negotiate drug prices or tell doctors what drugs to prescribe. In 2001, Questcor Pharmaceuticals paid a mere $100,000 for the rights to the drug. The company first raised the price from $40 to $750 a vial shortly after acquiring it. The price doubled over the next few years. Then, on August 27, 2007, the price shot up overnight from $1,600 to $23,000 a vial. Questcor continued to raise the price of the drug to about $32,000 before Mallinckrodt purchased Questcor in late 2014. Since then the price has risen about another $7,000. Acthar’s extraordinary overnight price hike to $23,000, Schondelmeyer said, was especially troublesome. He called the 97,000% drug hike from 2000 to today “one of the highest price changes ever” in the history of the US. “Not more than a handful of drugs have ever seen a price increase like this,” he said. “This certainly is an extremely extraordinary price increase and is, without a doubt, not a competitive market price. President Donald Trump had vowed to change the Medicare provision to save billions of taxpayer dollars. “We don’t do it. Why? Because of the drug companies,” he told a crowd in New Hampshire in January. But earlier in May, in unveiling his plan to bring “soaring drug prices back down to Earth,” Trump scrapped plans to allow the federal government to directly negotiate lower prices for Medicare. UCSF’s Redberg said drugmakers consistently take advantage of Medicare not being able to negotiate on prices or insist on cheaper alternatives under the Medicare Modernization Act of 2003. Only 352 doctors filed more than 10 Acthar-related claims with Medicare in 2016, a CNN analysis of the data shows. Medicare does not include doctors who filed 10 or fewer claims in its public data, citing privacy concerns. Those 352 physicians comprise less than 20% of all doctors who prescribed Acthar through Medicare in 2016, according to the agency. The other 80% were excluded. Still, those 352 doctors accounted for more than half of the Acthar-related claims Medicare covered that year, costing the program almost $369 million. In 2016, Medicare covered nearly 13,000 claims for Acthar worth more than $636 million. A CNN analysis found that more than 80%, or 288, of the 352 doctors who filed publicly available Acthar claims with Medicare in 2016 also received money or other perks from Mallinckrodt or Questcor between 2013 and 2016. Those perks ranged from a few dollars’ worth of food or drink to hundreds of thousands of dollars in payments for honoraria, compensation for services, travel and lodging. CNN’s analysis showed that of those 288 doctors, eight received an unusually high amount of money — more than $220,000 — from the drugmakers. Dr. Grace Wright, a rheumatology specialist in New York City, received the most payments — 673 — and the largest amount of money: $370,970.49. More than half was for honoraria and travel and lodging; the rest was compensation for services, consulting fees, food and beverage and education. Wright filed 16 Part D claims for Acthar in 2016 resulting in $940,839 in Medicare coverage. Asked about her payments and claims, Wright told CNN, “I have always complied with the requirements of the PhRMA Code, including in my interactions with Mallinckrodt and Questcor. To the very best of my knowledge, Mallinckrodt and Questcor fully comply with the requirements of the PhRMA Code as well. “Therapies like Acthar are used to bridge flares in some … patients, and may in fact be the only therapy yet available to them. … The mortality rate in these patients can be quite high, as is the burden of care for the patient, family, and healthcare team. • Dr. Annette Howard of Houston, Texas, a psychiatry and neurology specialist, received 609 payments worth $345,913.22 — about a third was compensation for services, another third was honoraria, about a quarter was for travel and lodging, and the rest for consulting, education and food and beverage. Howard filed 11 Part D claims for Acthar in 2016 resulting in $688,991.24 in Medicare coverage. • Dr. Anupa Khastgir of Oklahoma City, Oklahoma, a nephrology specialist, received 538 payments worth $334,390.56 — about a third was compensation for services, about another third for travel and lodging, more than a quarter for honoraria and the rest for consulting, education and a grant. Khastgir filed 11 Part D claims for Acthar in 2016 resulting in $642,813.58 in Medicare coverage. • Dr. Ruwani Gunawardane of Fulton, Maryland, a neurology specialist, received 502 payments worth $332,393.36 — nearly half was compensation for services, about a third was honoraria, about a sixth was for travel and lodging, and the rest was for consulting, education and food and beverage. Gunawardane filed 38 claims resulting in $1,329,002.84 in Medicare coverage. • Dr. Ara Dikranian of San Diego, California, a rheumatology specialist, received 489 payments worth $273,937. Of that, nearly half was compensation for services, about a quarter was for honoraria, about a sixth was for travel and lodging, and the rest was for consulting, food and beverage and education. Dikranian filed 86 claims resulting in $4,443,774 in Medicare coverage. • Dr. Howard Busch of Loxahatchee, Florida, a rheumatology specialist, received 488 payments worth $267,701.63. Of that, more than a third was compensation for services, more than a quarter was for honoraria, about a fifth was for travel and lodging, and the rest was for consulting, education and food and beverage. Busch filed 44 claims resulting in $3,271,920.07 in Medicare coverage. • Dr. Petros Efthimiou of Brooklyn, New York, a rheumatology specialist, received 399 payments worth $243,234.04. Of that, more than a third was for honoraria, nearly another third was compensation for services, more than a fifth was for travel and lodging, and the rest was for consulting, education and food and beverage. Efthimiou filed 13 claims resulting in $693,725.34 in Medicare coverage. • Dr. Guillermo Valenzuela of Plantation, Florida, a rheumatology specialist, received 391 payments worth $224,713.96. Of that, nearly half was compensation for services, nearly a third was for honoraria, about a fifth was for travel and lodging, and the rest was for consulting, education and food and beverage. Valenzuela filed 50 claims resulting in $2,036,129.13 in Medicare coverage. Howard, Gunawardane, Dikranian, Busch and Valenzuela did not respond to requests by CNN for comment. Asked about her payments and claims, Khastgir said, “When [Acthar] became available in 2012 to the nephrology community we were skeptical of its use and mechanism of action.” But she said more research into the matter proved promising. Khastgir said she has lost patients to the side effects of other drug regimens, and that Acthar “appears to be relatively safe.” She said she has collaborated with five other doctors in the US to do a retrospective study, which Mallinckrodt funded. “I am a speaker for the company and will talk to nephrologists on lunch or dinner programs presenting the data on the drug. My expenses are paid for by the company. The contract with Mallinckrodt is in line with other consultant/speaker agreements done in the past. 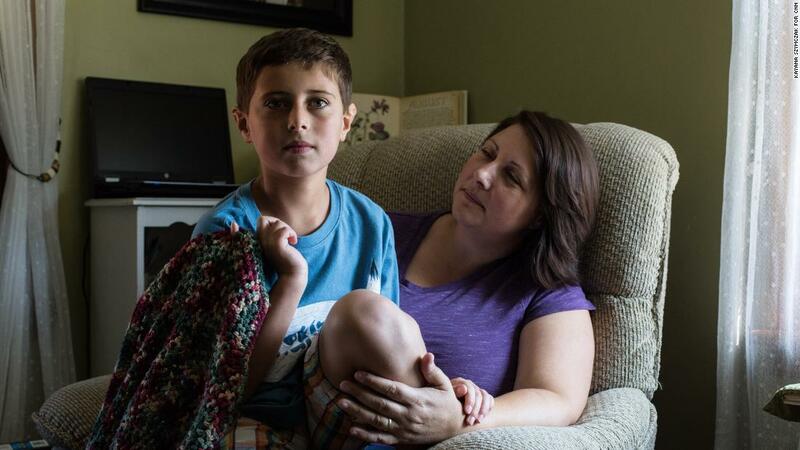 Known side effects include hypertension and fluid retention, but doctors who have used Acthar for years to treat infantile spasms told CNN the most feared side effect is immune suppression that potentially leads to death. “I consulted with previous and current manufacturers of this medication, from 2013-2016, on rheumatological diseases where [Acthar] is indicated and FDA approved. My efforts led to the development of two Institutional Review Board [IRB] approved research studies (at a previous institution) on the safety and efficacy of this medication, which has been in use since 1952. “Rheumatology conditions not only affect seniors; many patients are younger individuals who suffer from autoimmune conditions. … Unfortunately, both younger and older patients sometimes do not respond to first-, second- or, even, third-line treatments, including corticosteroids. In these situations, we consider [Acthar], based on published data that it may work differently than corticosteroids. “While medication costs remain a global public health issue, my principal responsibility as a physician is to my patents. In rheumatology, just as in other disciplines, we consider very expensive biologic medications for treatment, especially for rare and hard-to-treat diseases. None of my patients have suffered serious side effects from [Acthar]. All patients on this medication in my practice are carefully monitored for any adverse reactions. Between 2013 and 2016, Mallinckrodt and Questcor — the Acthar manufacturer it purchased in 2014 — paid at least 18,810 doctors nearly $27.5 million for Acthar-related consulting, promotional speaking and other services, according to a CNN analysis of government data. The analysis shows 16 doctors were paid an unusually high amount of money — more than $250,000 — compared to the rest. For context, the average amount doctors received between 2013 and 2016 from Mallinckrodt and Questcor was $1,461.18, and the median was $79.82. Another physician, Dr. Alan Brown of South Carolina, was paid more than $325,000. In 2015, Brown reported a case series on Acthar involving five patients with rheumatoid arthritis who had failed other treatment. “Results from this case series indicate ACTH gel may be a safe and viable option for patients with refractory [rheumatoid arthritis] who have failed previous therapy with multiple RA treatments,” Brown wrote. In 2015, Brown filed 16 Medicare Part D claims for Acthar worth $719,093 in prescriptions. Part D is Medicare’s prescription drug funding program for the disabled and people 65 and over. But Brown, Mitrane and Stankovic were not among the high-frequency prescribers — those who filed more than 10 Acthar claims — in Medicare’s 2016 Part D prescriber data. CNN was unable to reach Mitrane for comment, and Brown did not respond to requests by CNN for comment.